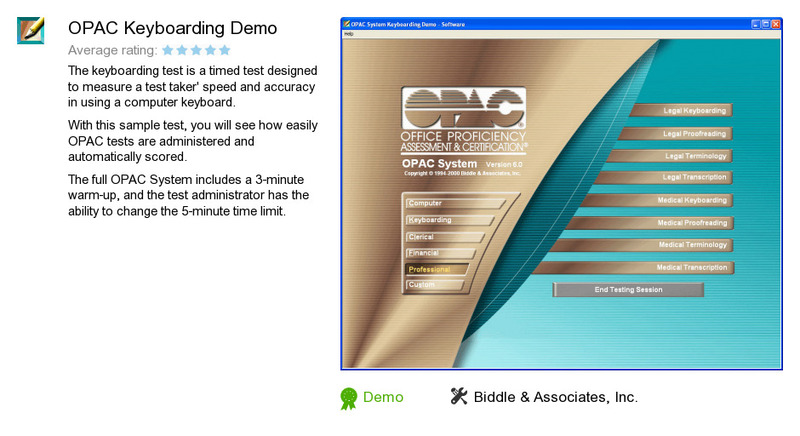 OPAC Keyboarding Demo is a product developed by Biddle & Associates, Inc.. We know of version 6.0. Version 6.0.1 is available for download at our site. OPAC Keyboarding Demo distributive has a size of 2,531,441 bytes.